If you can name what movie that quote comes from, I commend you. You just may be as big a movie buff as both mi mama and mi Tio Paul. They can both spout off more quotes from some of the most random and inane movies and TV shows than anyone I’ve ever met. Ever seen Death Bed: The Bed that Eats? Yeah, very few other people have. Mi mama? She’s rented it on Netflix four times. They might as well give her the copy. I sincerely doubt it’s in anyone else’s queue. So anyway, back to meatloaf. Last night after my daily walk around the neighborhood with mis padres, I opened up the refrigerator to discover not one, not two but FIVE pounds of ground turkey breast blocking the path I had created leading to my bag of baby carrots. Hot dog! What the heck was I going to do with five pounds of ground turkey? I mean, I guess I could freeze it all to use at a later time. Or I could make the most gigantic turkey meatball ever created… but then how would I fit it in my oven to bake? The wheels in my little cabeza started turning and before I knew it, my teeny paws were elbow (knee?) deep in raw turkey bits, rolled oats and Worcestershire sauce. Now you’re probably thinking, what in Julio Iglesias’s name could he possibly be creating using all those random ingredients. And for a split second, I wondered the same thing. 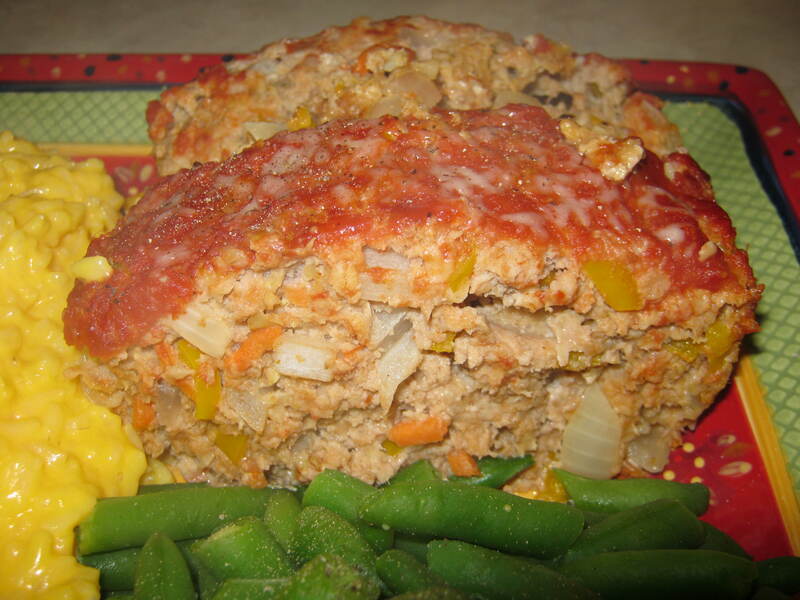 But the more I mixed and molded, the more I knew my idea for a turkey meatloaf was going to turn out stellar. And stellar it was. 1) Pre-heat oven to 350 degrees. 2) Combine rolled oats and milk in a small bowl. Allow oats to soften 10 minutes. 3) Meanwhile, combine all other ingredients (excluding 1/4 cup of the tomato sauce) in a large bowl. Add the oat mixture. Mix thoroughly (I used my freshly washed paws, but you could use a spoon if the idea of sticking your hands in raw meat grosses you out). 4) Transfer mixture to a lightly greased medium-sized loaf pan. Spread the remaining 1/4 cup tomato sauce on top. 5) Bake 50 minutes to an hour or until meat is cooked thoroughly. 6) Remove from oven, allow to set 5 minutes, slice into individual portions and enjoy! I served my meatloaf alongside some cheesy rice and steamed green beans but I have a feeling this would go smashingly well with my Butternut Mac and Cheese recipe. Totally your call. In the meantime, I must be going. My paws are all dirty and gross from sticking them in raw turkey carcass. I really must go take a bath. 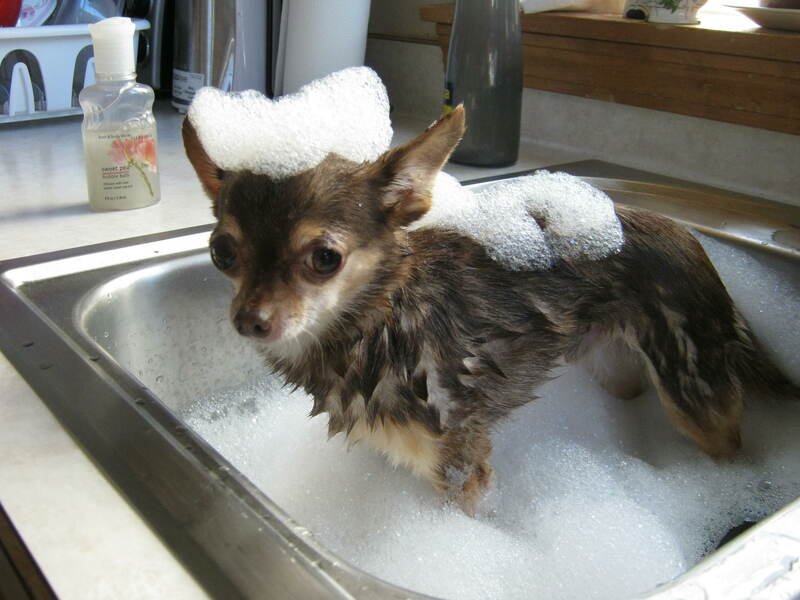 Did you remember to take out the dishes before your bath? You could be sitting on a spatula. It’s not the spatulas I’m worried about. It’s the corn cob holders.. ouch!